Geophysicist Jim Kauahikaua has worked with Hawaiian Volcano Observatory for around 40 years. He says the United States Geological Survey started developing hazard zone maps to help guide development. “Our lava flow hazard zone map deals with the long term hazard produced by lava flows. The summit and the rift zones where vents come up and where eruptions start are the highest hazard zone levels. 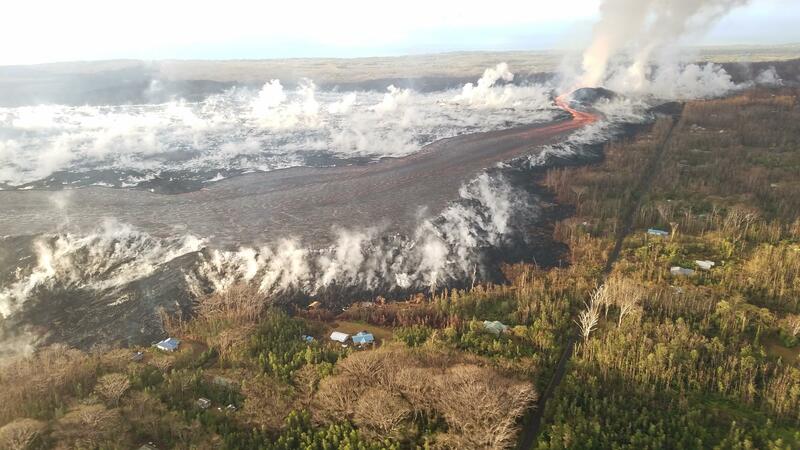 Lava zone one and lava zone two are the highest risk. 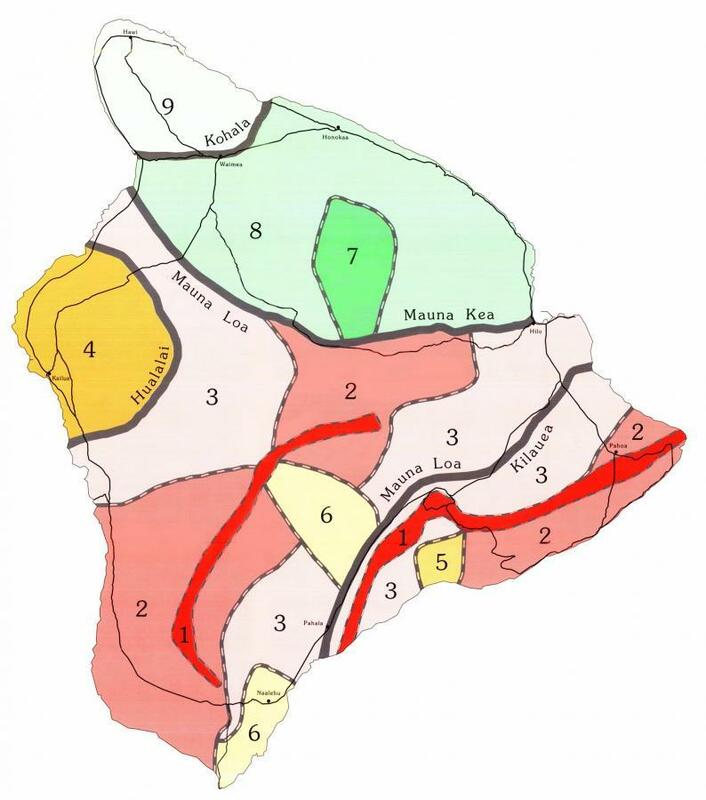 Kauahikaua’s research revealed there was a similar map created even earlier than the 1970s. Fissure 8 and a full lava channel as seen during HVO's early morning overflight. The visible road is Nohea Street in the Leilani Estates subdivision. Steam generated from heated rain water rose from the tephra deposits and lava flows surrounding fissure 8. Kauahikaua says the boundaries between zones are not narrow lines, but around a half mile. And despite eruptions over the past decades, he says the geologic picture has not changed enough to create new maps at this time.